Beth and Horace Stubblefield Learning Center is a cooperative between Angelina County Chamber of Commerce, Angelina College, and five participating school districts (Central, Diboll, Hudson, Lufkin, and Zavalla). This facility allows students between the ages of 16 and 21 who are no longer in school, are credit deficient and/or in danger of dropping out, a "second chance" to earn a high school diploma from their home district/school. Stubblefield is a self-paced, year-round program that focuses on dropout recovery and prevention. 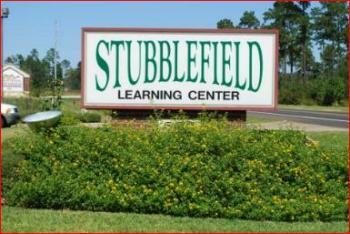 Stubblefield offers an encouraging and positive environment with high expectations for each student. Our primary purpose is to maintain a high performance, work-relevent, non-traditional school for the 21st century that motivates, encourages, and prepares students for success in school, in the workforce, and in life. In addition, an "Over-age Chamber Program" provides a window of opportunity for a "lost generation" of students who have not completed a high school education. Angelina County residents, over the age of 21, who qualify will have the opportunity to earn a diploma from the school district in which they live.